This article is about the science fiction author. For the Babylon 5 character named after him, see Alfred Bester (Babylon 5). Alfred Bester (December 18, 1913 – September 30, 1987) was an American science fiction author, TV and radio scriptwriter, magazine editor and scripter for comic strips and comic books. He is best remembered for his science fiction, including The Demolished Man , winner of the inaugural Hugo Award in 1953. Bester attended the University of Pennsylvania, where he was a member of the Philomathean Society. He played on the Penn Quakers football team in 1935 and, by his own account, was "the most successful member of the fencing team." He went on to Columbia Law School, but tired of it and dropped out. The University of Pennsylvania is a private Ivy League research university located in the University City neighborhood of Philadelphia, Pennsylvania. Chartered in 1755, Penn is the sixth-oldest institution of higher education in the United States. It is one of the nine colonial colleges founded prior to the Declaration of Independence. Benjamin Franklin, Penn's founder and first president, advocated an educational program that trained leaders in commerce, government, and public service, similar to a modern liberal arts curriculum. The university's coat of arms features a dolphin on its red chief, adopted from Benjamin Franklin's own coat of arms. 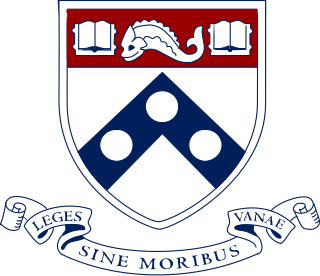 The Philomathean Society of the University of Pennsylvania is a collegiate literary society, the oldest student group at the university, and a claimant to the title of the oldest continuously-existing literary society in the United States. Founded in 1813, its goal is "to promote the learning of its members and to increase the academic prestige of the University." Philomathean is derived from the Greek philomath, which means "a lover of learning." The motto of the Philomathean Society is Sic itur ad astra. Bester and Rolly Goulko (December 21, 1917 – January 12, 1984) married in 1936. Rolly Bester was a Broadway,  radio and television actress, originating the role of Lois Lane on the radio program The Adventures of Superman . She changed careers in the 1960s, becoming a vice president, casting director and supervisor at the advertising agency Ted Bates & Co. in New York City. The Besters remained married for 48 years until her death. Bester was very nearly a lifelong New Yorker, although he lived in Europe for a little over a year in the mid-1950s and moved to exurban Pennsylvania with Rolly in the early 1980s. Once settled there, they lived on Geigel Hill Road in Ottsville, Pennsylvania. Lois Lane is a fictional character appearing in American comic books published by DC Comics. Created by writer Jerry Siegel and artist Joe Shuster, she first appeared in Action Comics #1. 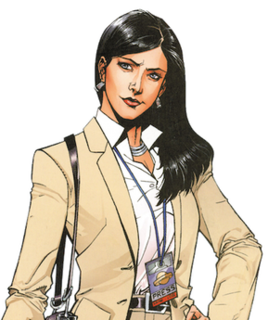 Lois is an award-winning journalist for the Metropolis newspaper, the Daily Planet, and the love interest of the superhero Superman. In DC continuity, she is also his wife and the mother of their son, Jonathan Samuel Kent, the current Superboy in the DC Universe. Theodore Lewis "Ted" Bates was an American advertising executive who founded a worldwide advertising agency that bears his name: Ted Bates Inc. However, as Bester was the winner of the contest, Mort Weisinger also "introduced me to the informal luncheon gatherings of the working science fiction authors of the late thirties." He met Henry Kuttner, Edmond Hamilton, Otto Binder, Malcolm Jameson and Manly Wade Wellman there. During 1939 and 1940 Weisinger published three more of Bester's stories in Thrilling Wonder Stories and Startling Stories . For the next few years, Bester continued to publish short fiction, most notably in John W. Campbell's Astounding Science Fiction. In 1942, two of his science fiction editors got work at DC Comics, and invited Bester to contribute to various DC titles. Consequently, Bester left the field of short story writing and began working for DC Comics as a writer on Superman , and, under the editorship of Julius Schwartz,  Green Lantern , among other titles. He created super-villain Solomon Grundy and the version of the Green Lantern Oath that begins "In brightest day, In blackest night". Bester was also the writer for Lee Falk's comic strips The Phantom and Mandrake the Magician while their creator served in World War II. It is widely speculated how much influence Bester had on these comics. One theory claims that Bester was responsible for giving the Phantom his surname, "Walker". With the advent of American network television in 1948, Bester also began writing for television, although most of these projects were lesser-known. In early 1950, after eight years away from the field, Bester resumed writing science fiction short stories. However, after an initial return to Astounding with the story "The Devil's Invention" (a.k.a. "Oddy and Id"), he stopped writing for the magazine in mid-1950 when editor John Campbell became preoccupied with L. Ron Hubbard and Dianetics, the forerunner to Scientology. Bester then turned to Galaxy Science Fiction , where he found in H. L. Gold another exceptional editor as well as a good friend. In his first period of writing science fiction (1939–1942), Bester had been establishing a reputation as a short story writer in science fiction circles with stories such as "Adam and No Eve". However, Bester gained his greatest renown for the work he wrote and published in the 1950s, including The Demolished Man and The Stars My Destination (also known as Tiger! Tiger!). The Demolished Man , recipient of the first Hugo Award for best Science Fiction novel, is a police procedural that takes place in a future world in which telepathy is relatively common. Bester creates a harshly capitalistic, hierarchical and competitive social world that exists without deceit: a society in which the right person with some skill (or money) and curiosity can access your memories, secrets, fears and past misdeeds more swiftly than even you. Originally published in three parts in Galaxy, beginning in January 1952, The Demolished Man appeared in book form in 1953. It was dedicated to Gold, who made a number of suggestions during its writing. Originally, Bester wanted the title to be Demolition!, but Gold talked him out of it. Bester's 1953 novel Who He? (also known as The Rat Race) concerns a TV variety show writer who wakes up after an alcoholic blackout and discovers that someone is out to destroy his life. According to Bester, the TV show elements were based on his experiences working on The Paul Winchell Show . A contemporary novel with no science fiction elements, it did not receive wide attention. It did, however, earn Bester a fair amount of money from the sale of the paperback reprint rights (the book appeared in paperback as The Rat Race). He also received a substantial sum of money from a movie studio for the film option to the book. Reportedly, Jackie Gleason was interested in starring as the variety show writer and licensed movie rights to the story; however no movie was ever made of Who He? Still, the payout from the film option was large enough that Alfred and Rolly Bester decided they could afford to travel to Europe for the next few years. They lived mainly in Italy and England during this period. While on his European trip, Bester began selling non-fiction pieces about various European locations to the mainstream travel/lifestyle magazine Holiday . The Holiday editors, impressed with his work, invited Bester back to their headquarters in New York and began commissioning him to write travel articles about various far-flung locales, as well as doing interviews with such stars as Sophia Loren, Anthony Quinn, and Sir Edmund Hillary. As a result of steady work with Holiday, Bester's science fiction output dropped precipitously in the years following the publication of The Stars My Destination. Bester published three short stories each in 1958 and 1959, including 1958's "The Men Who Murdered Mohammed" and 1959's "The Pi Man", both of which were nominated for Hugo Awards. However, for a four-year period from October 1959 to October 1963, he published no fiction at all. Instead, he concentrated on his work at Holiday (where he was made a senior editor), reviewed books for The Magazine of Fantasy and Science Fiction (from 1960 to 1962) and returned to television scripting. During the 1950s, Bester contributed a satiric sketch, "I Remember Hiroshima," to The Paul Winchell Show . His later story "Hobson's Choice" was based on it. Murder and the Android was nominated for a 1960 Hugo Award for Best Dramatic Presentation  and was given a repeat on September 5, 1960, the Labor Day weekend in which that Hugo Award was presented (to The Twilight Zone ) at the World Science Fiction Convention in Pittsburgh. Bester returned to Sunday Showcase March 5, 1960 with an original teleplay, Turn the Key Deftly. Telecast in color, that mystery, set in a traveling circus, starred Julie Harris, Maximilian Schell and Francis Lederer. For Alcoa Premiere , hosted by Fred Astaire, he wrote Mr. Lucifer, which aired November 1, 1962 with Astaire in the title role opposite Elizabeth Montgomery. A light comedy, the story concerned the modern day Lucifer—whose offices are now on Madison Avenue—working with his beautiful secretary to try to corrupt a clean-cut American husband and wife. After a four-year layoff, Bester published a handful of science fiction short stories in 1963 and 1964. However, writing science fiction was at this stage in Bester's life clearly more of a sideline than the focus of his career. As a result, from 1964 until the original version of Holiday folded in 1971, Bester published only one science fiction short story, a 700-word science fiction spoof in the upscale mainstream magazine Status. Still, as senior editor of Holiday, Bester was able to introduce occasional science fiction elements into the non-fiction magazine. On one occasion, he commissioned and published an article by Arthur C. Clarke describing a tourist flight to the Moon. Bester himself, though, never published any science fiction in Holiday, which was a mainstream travel/lifestyle magazine marketed to upscale readers during an era when science fiction was largely dismissed as juvenilia. Holiday magazine ceased publication in 1971, although it was later revived and reformatted by other hands, without Bester's involvement. For the first time in nearly 15 years, Bester did not have full-time employment. After a long layoff from writing science fiction, Bester returned to the field in 1972. His 1974 short story "The Four-Hour Fugue" was nominated for a Hugo Award,  and Bester received Hugo  and Nebula Award nominations for his 1975 novel The Computer Connection (titled The Indian Giver as a magazine serial and later reprinted as Extro). Despite these nominations, Bester's work of this era generally failed to receive the critical or commercial success of his earlier period. Bester's eyesight began failing in the mid-1970s, making writing increasingly difficult, and another layoff from published writing took place between early 1975 and early 1979. It is alleged during this period that the producer of the 1978 Superman movie sent his son off to search for a writer. The name Alfred Bester came up, but Bester wanted to focus the story on Clark Kent as the real hero, while Superman was only "his gun." The producers instead hired Mario Puzo, author of The Godfather , to write the film. In 1985, it was announced that Bester would be a Guest of Honor at the 1987 Worldcon, to be held in Brighton, England. As the event neared, however, Bester fell and broke his hip. With his worsening overall health, he was plainly too ill to attend. Bester died less than a month after the convention from complications related to his broken hip. However, shortly before his death he learned that the Science Fiction Writers of America would honor him with their Grand Master Nebula award  at their 1988 convention. Two works by Bester were published posthumously. The first, Tender Loving Rage (1991), was a mainstream (i.e., non-science fiction) novel that was probably written in the late 1950s or early 1960s. The second, Psychoshop (1998), was based on an incomplete 92-page story fragment. It was completed by Roger Zelazny and remained unpublished until three years after Zelazny's death. When published, it was credited as a collaborative work. StarShipSofa described Bester as "the godfather of modern science fiction", and made a two-part show about him. In Babylon 5 , Psi-Cop Alfred Bester is named after him (and the treatment of telepathy in Babylon 5 is similar to that in Bester's works). The time-travelling pest named "Al Phee" in Spider Robinson's Callahan's Crosstime Saloon series is based on Bester. F. Gwynplaine MacIntyre wrote a series of stories — beginning with "Time Lines" (published in Analog , 1999) — about a time-traveling criminal named Smedley Faversham, who constantly runs afoul of a scientific principle called "Bester's Law" (explicitly named after the phenomena in Bester's 1958 story "The Men Who Murdered Mohammed"). "Oddy and Id" originally published in 1950 as "The Devil's Invention"
"The Starcomber" originally published in 1954 as "5,271,009"
"White Light Cinema" originally published in 1956 as "Patrick the Programmer"
"Science Fiction and the Renaissance Man", originally delivered as a lecture at the University of Chicago in 1957. The other lecturers included Cyril Kornbluth, Robert A. Heinlein and Robert Bloch. Also included are interviews with John Huston and Rex Stout, a conversation with Woody Allen, brief articles on Isaac Asimov and Robert A. Heinlein, two deleted prologues and an analysis of The Demolished Man , plus a memorial for Bester written by Isaac Asimov and an introduction by Gregory S. Benford. James Patrick Kelly is an American science fiction author. Virtual Unrealities is a collection of science fiction short stories by American writer Alfred Bester with an introduction by Robert Silverberg. Henry Slesar was an American author, playwright, and copywriter. He is famous for his use of irony and twist endings. After reading Slesar's "M Is for the Many" in Ellery Queen's Mystery Magazine, Alfred Hitchcock bought it for adaptation and they began many successful collaborations. Slesar wrote hundreds of scripts for television series and soap operas, leading TV Guide to call him "the writer with the largest audience in America." "Time Is the Traitor" is a science fiction short story by American writer Alfred Bester, originally published in The Magazine of Fantasy and Science Fiction in September, 1953. It is included in the Bester collections The Dark Side of the Earth (1964), Star Light, Star Bright (1976) and Virtual Unrealities (1997) and has been extensively anthologized. Flowers for Algernon is the title of a science fiction short story and a novel by American writer Daniel Keyes. The short story, written in 1958 and first published in the April 1959 issue of The Magazine of Fantasy & Science Fiction, won the Hugo Award for Best Short Story in 1960. The novel was published in 1966 and was joint winner of that year's Nebula Award for Best Novel. This is a complete bibliography by American science fiction author Larry Niven. "The Pi Man" is a science fiction short story by American writer Alfred Bester. It was first published in Fantasy and Science Fiction, in 1959. Bester subsequently revised it extensively for his 1976 collection Star Light, Star Bright, changing the characters' names, "develop(ing) minor scenes", modifying the typographical "word pictures", and deleting several "stale references to beatnik culture". ↑ Alfred Bester, "United States Social Security Death Index". "United States Social Security Death Index," index, FamilySearch, Alfred Bester, September 1987. Retrieved 2013-03-12. ↑ Harrison, Harry (1996). "Introduction". The Demolished Man. New York: Vintage Books. p. vii. ISBN 978-0-679-76781-7. 1 2 "Damon Knight Memorial Grand Master" Archived 2011-07-01 at the Wayback Machine . Science Fiction and Fantasy Writers of America (SFWA). Retrieved 2013-03-22. 1 2 "Science Fiction and Fantasy Hall of Fame" Archived May 21, 2013, at the Wayback Machine . Mid American Science Fiction and Fantasy Conventions, Inc. Retrieved 2013-03-22. This was the official website of the hall of fame to 2004. ↑ The New York Times . February 25, 1934. "Captain Alfred Bester of New York gained two epee victories for the Red and Blue." 1 2 "Rolly Bester". The New York Times . January 18, 1984. ↑ Robb, Brian (May 15, 2014). A Brief History of Superheroes: From Superman to the Avengers, the Evolution of Comic Book Legends. Little, Brown Book Group. p. 114. ISBN 9781472110701. ↑ "Alfred Bester dies, sci-fi writer," Sunday Intelligencer/Montgomery Count Record, October 4, 1987. 1 2 Alfred Bester at the Internet Speculative Fiction Database (ISFDB). Retrieved 2013-04-11. Select a title to see its linked publication history and general information. Select a particular edition (title) for more data at that level, such as a front cover image or linked contents. ↑ Green Lantern #223. April 1988. pp. letters page. ↑ Schwartz, Julius (2000). Man of Two Worlds: My Life in Science Fiction and Comics. New York: Harper Collins. pp. 67–68. ISBN 978-0-380-810512. ↑ "Free Audio SF - CBS Radio Mystery Theater". Hard SF. Archived from the original on 2011-06-29. Retrieved 2011-02-10. ↑ "Alfred Bester". Library of America. Archived from the original on 2012-09-22. Retrieved 2012-10-05. ↑ Biller, Diana (December 25, 2015). "The Essential Cyberpunk Reading List". io9. Retrieved January 26, 2016. This 1956 novel, originally serialized in four parts in Galaxy magazine, predates the cyberpunk movement by more than twenty years, but nonetheless serves as one of its more important ancestors. With its bleak future, cybernetic body modification and evil megacorporations, The Stars My Destination set up a number of themes that became central to later cyberpunk works. ↑ Hiltzik, Michael (January 1, 2016). "A New Year's list: Five great sci-fi novels to make you forget 'Star Wars'". The Los Angeles Times . Retrieved January 26, 2016. Bester is a science fiction master unappreciated by the general reader but known as an important influence on Stephen King and the "cyberpunk" movement; The Stars My Destination frequently turns up on aficionados' lists of the greatest science fiction works of all time. ↑ Berthoud, Ella and Susan Elderkin (2013). The Novel Cure. Edinburgh: Canongate. p. W.
↑ Cavallaro, Dani (2000). Cyberpunk & Cyberculture: Science Fiction and the Work of William Gibson. London: Athlone Press. p. 9. ISBN 978-0-485-00412-0. ↑ BBC Radio 4 (14 September 1991). "The Shape of Things to Come". BBC. Retrieved January 26, 2016. ↑ BBC Radio 4 (16 August 1993). "Tiger! Tiger!". BBC. Retrieved January 26, 2016. ↑ Anders, Charlie Jane (Aug 10, 2012). "100 Wonderful and Terrible Movies That Never Existed". io9 . Retrieved 2012-10-05. ↑ Wendell, Carolyn (2006). Alfred Bester. Wildside Press. p. 46. ↑ The Hugo Awards. "1960 Hugo Awards". World Science Fiction Society. Archived from the original on May 7, 2011. Retrieved June 17, 2014. ↑ Lee, R. E. "The Series: Alcoa Premiere; The Episode: Mr. Lucifer". Bob's Bewitching Daughter: Elizabeth Montgomery. Archived from the original on August 20, 2016. Retrieved June 17, 2014. Satan invades Madison Avenue: Mr. Lucifer, the Prince of Darkness himself, determines to corrupt a clean-cut young couple with the help of his beautiful secretary, Iris, a former moon goddess, now transformed into a demon. ↑ "Watch Alcoa Premiere Season 2 Episode 5 S2E5 Mr. Lucifer". OVGuide . Retrieved June 17, 2014. ↑ The Hugo Awards. "1975 Hugo Awards". World Science Fiction Society. Archived from the original on February 11, 2012. Retrieved June 17, 2014. ↑ The Hugo Awards. "1976 Hugo Awards". World Science Fiction Society. Archived from the original on May 7, 2011. Retrieved June 17, 2014. ↑ Wendell, Carolyn (March 1988). "The Late, Great Alfie B., 1913-87". Science Fiction Studies . 15 pt. 1 (44). ISSN 0091-7729 . Retrieved 2012-10-05. ↑ McQuown, Judith H. (November 1987). "Remembering Alfred Bester". Locus: The Magazine of the Science Fiction & Fantasy Field . Oakland, California: Locus Science Fiction Foundation. 20, No. 11 (#322): 63. ↑ Science Fiction Writers of America. "Nebula Award Winners: 1965 – 2011". Science Fiction Writers of America . Retrieved June 17, 2014. ↑ Sturgis, Amy H. (2011). ""Just Get Us a Little Further"". In Dean A. Kowalski; S. Evan Kreider. The Philosophy of Joss Whedon. Lexington, Kentucky: University Press of Kentucky. p. 24. 1 2 "Bester, Alfred" Archived 2012-10-16 at the Wayback Machine . The Locus Index to SF Awards: Index of Literary Nominees. Locus Publications. Retrieved 2013-03-22. Bester, Alfred (1976). "My Affair with Science Fiction". Star Light, Star Bright: The Great Short Fiction of Alfred Bester. II. New York: Berkley. pp. 220ff. "Alfred Bester biography". Science Fiction and Fantasy Hall of Fame .